Huge congratulations to Peter Mountford, CEO of the Super Group, on being named the 2018 All Africa Business Leader of the Year at the All Africa Business Leaders Awards (AABLA™) Grand Finale. 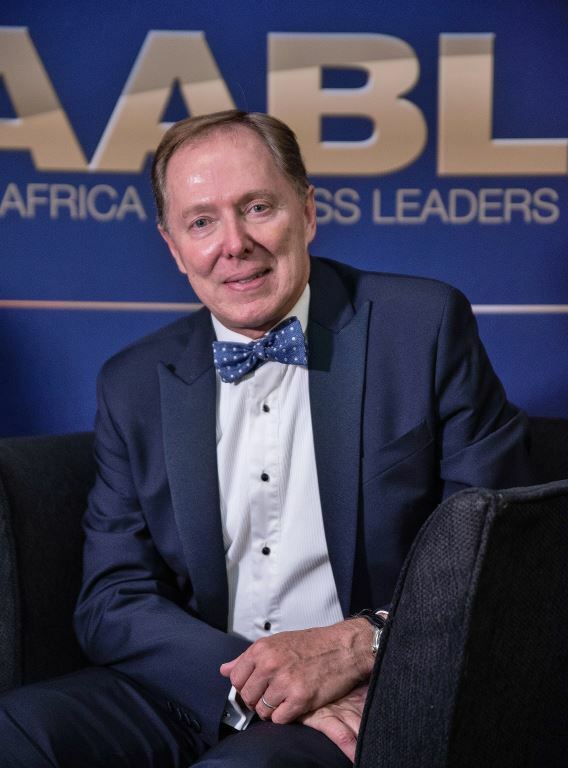 What a great way for the Super Group to start 2019 with the news that CEO Peter Mountford was recently named the 2018 All Africa Business Leader of the Year at the All Africa Business Leaders Awards (AABLA™) Grand Finale. The AABLA distinguish and honour leaders who have contributed and shaped the African economy and are visionaries behind today’s outstanding businesses. Previous winners of the award include Adrian Gore, founder and CEO of Discovery; Segun Agbaje, managing director of GT Bank; and Khalid Abdulla, Group CEO of African Equity Empowerment Investments. “Peter has sustainably led the Super Group over the last ten years by firstly driving the turn around and ultimately its growth strategy that has accorded the group a position of being one of the prominent leading transport logistics and mobility group of companies in the world. The growth strategy included investment and operations in seven countries in Africa, two countries in Europe (Germany & the UK), Australia and New Zealand. He is worthy of the AABLA’s and representative of Africa’s best for 2018,” said Sam Bhembe, AABLA Head Judge and CNBC Africa Non-Executive Director. Mountford joined Super Group in 2009, when the market capitalisation hit an all-time low of R350-million. Fast forward to ten years later and under Mountford’s leadership, the Group now has a market cap of R15-billion. The Group has seen substantial growth over the past four years, with revenue increasing by 250% from R14.2-billion in 2014 to R35.6-billion in 2018 and a 185% increase in operating profit from R1.3-billion in 2014 to R2.4-billion in 2018, realising significant investment growth for shareholders. “The Group has performed above expectation, producing a stellar set of results which are really pleasing given the prevailing economic and political conditions, both in South Africa and abroad. It is the attainment of this objective that drives Peter and his team to continue to grow the business through a blend of strategic acquisitions and organic growth, despite challenging circumstances. I would like to extend our appreciation to Peter, the Super Group leadership team and all our employees for contributing to the group’s success,” said Phillip Vallet, Chairman, Super Group. The Group reported a record set of results for the year ended 30 June 2018, mainly attributable to the excellent performance by the commodities businesses within Supply Chain Africa, good contributions from the acquired businesses and solid results from SG Fleet. The Dealerships SA and UK operations outperformed their respective markets while the South African consumer business operated in an environment characterised by poor consumer demand and competitive trading conditions. So it’s a big congratulations to Peter Mountford from all of us at FleetWatch. Way to go!